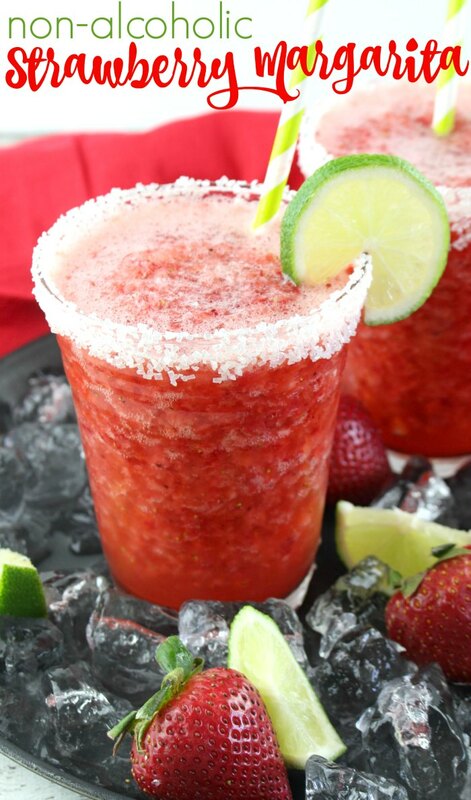 Guests of any age will enjoy this non-alcoholic frozen strawberry margarita! Run the wedge of a lime along the rims of your serving glasses. Pour the course sugar onto a plate and dip the rims of each glass into the sugar to evenly coat. Set aside. Pour ice into the blender. Add the strawberries, orange juice, sparkling water and lime concentrate. Blend until well-combined & ice is crushed. Pour into your sugar-rimmed glasses and garnish with a lime wheel.